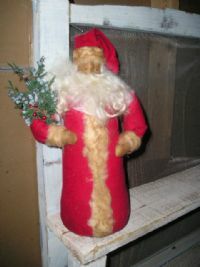 This santa is made from aged osnaburg and has a darker wool beard. Jute tie at his waist with a sprig of greens. Stick legs and hands. 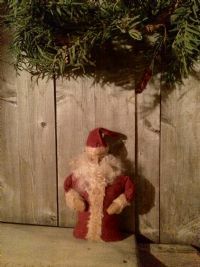 Hangs 15"
Our red flannel santa is 12' tall and he has grees in his arm. Weighed to stand. 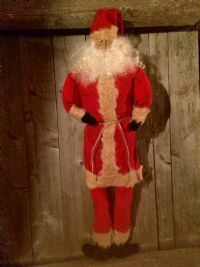 Perfect for that santa collector.